What gear do i need on my chars? I'm leaving Luke at G8 and getting everyone else to g9-10. Luke has basically no use outside of the event whereas all the other characters have some use so the gear isn't wasted. That said if I have characters like fleet crew who also need raid only gear I'm holding off bumping ANH characters (other than R2) past g9. 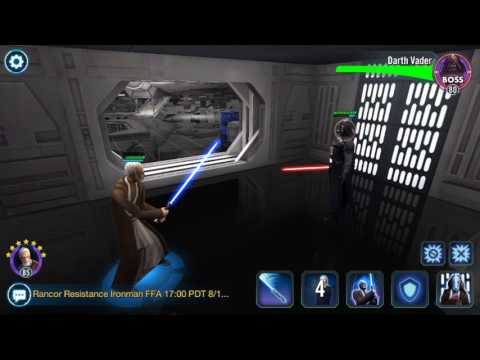 If I need to I can quickly bump ANH rebels to g10 but I'd rather swap mods to get past a stage rather than use precious raid gear. I looked through this video and took note of the base stats and team ratings for each stage. I figure that if I can get team ratings and character stats in the ballpark of what was used in the video I should be able to clear each stage (also pay attention to the gear and enemy levels of each stage, should give you a ballpark of how hard they'll be to fight).